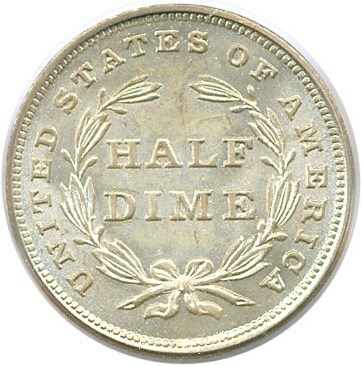 A truly amazing gem no stars half dime. 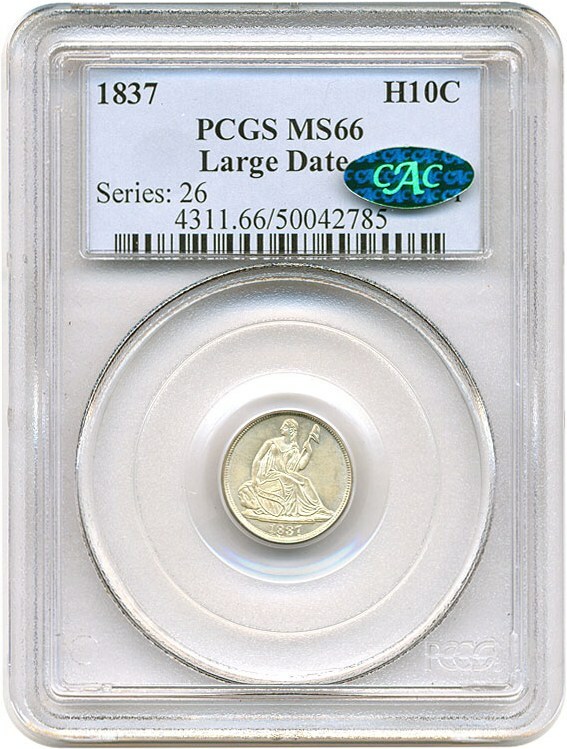 This one year type is relatively common in lower mint state grades but true, fresh gem examples are underrated. 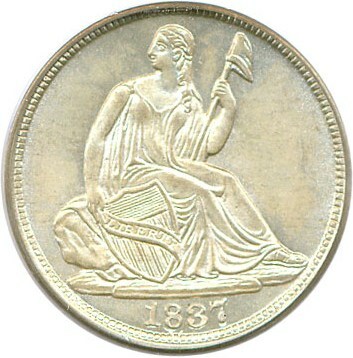 This coin has a light skin of gold toning but is essentially white in appearance. CAC approved for quality and eye appeal.